Soderberg electrode paste is also called anode paste self-baking electrode paste or carbon electrode paste. 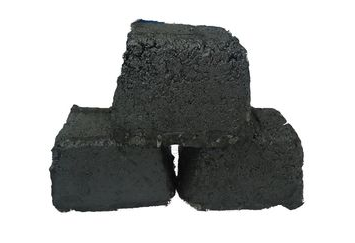 It is made from anthracite, coke, asphalt and tar, and prepared at a certain temperature. This electrode can be used continuously and is formed by sintering the long edge of the edge joint. Soderberg Electrode paste is widely used in ferroalloy electric furnace and calcium carbide furnace because of its simple process and low cost. The performance of soderberg electrode paste is not different from that of carbon electrode when the electrode is baked well, but its manufacturing cost is only one-eighth of that of graphite electrode.